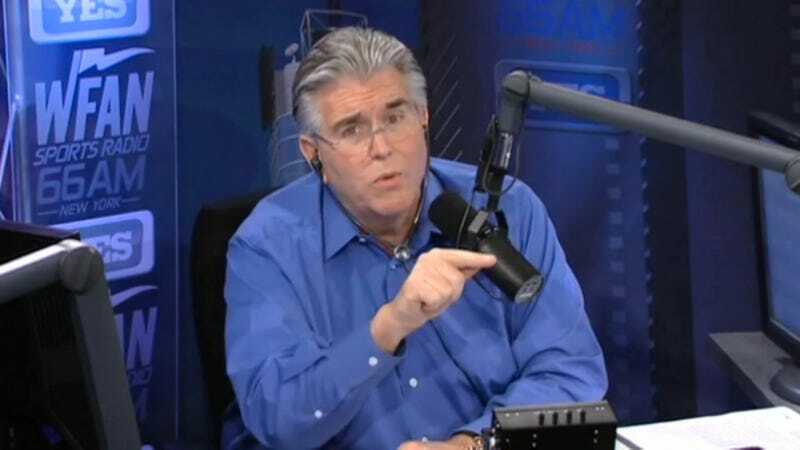 Mike Francesa Says Ike Davis Is Slumping Because Of "Jungle Fever"
Mets first baseman Ike Davis has looked terrible all year. He missed some time in spring training with a mysterious ailment—doctors identified Valley Fever, a lung infection—and, after a torrid stretch at the end of spring, OPSed .550 in April and .439 in May. There's plenty of talk of sending him to the minors to fix his problems. What are those problems, anyway? David Schoenefield says Ike can't hit the outside pitch. Bill Petti says pitchers won't throw him fastballs. And Mike Francesa, the WFAN eminence, says it just might be the "jungle fever."